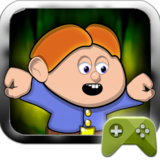 Canyon Capers – Games for Android 2018. Canyon Capers – Search jungle locales in this nice retro platformer. Canyon Capers for Android is a side scrolling platformer adventure through mythic jungles laden with perils and monsters. 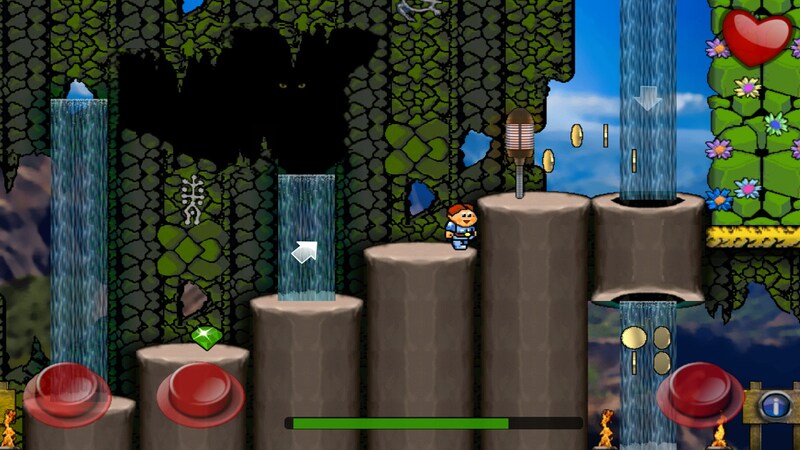 Collect treasure, bonk enemies on the head and find the secret portal out of this realm and into the next. This one is decent and has potential. 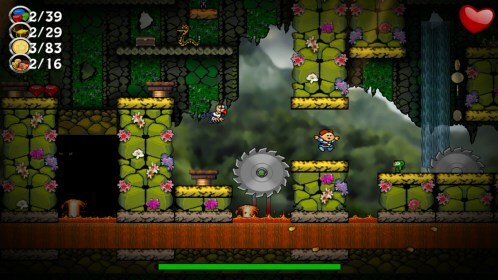 Canyon Capers displays in landscape to reveal a side view of a lush, jungle environment. 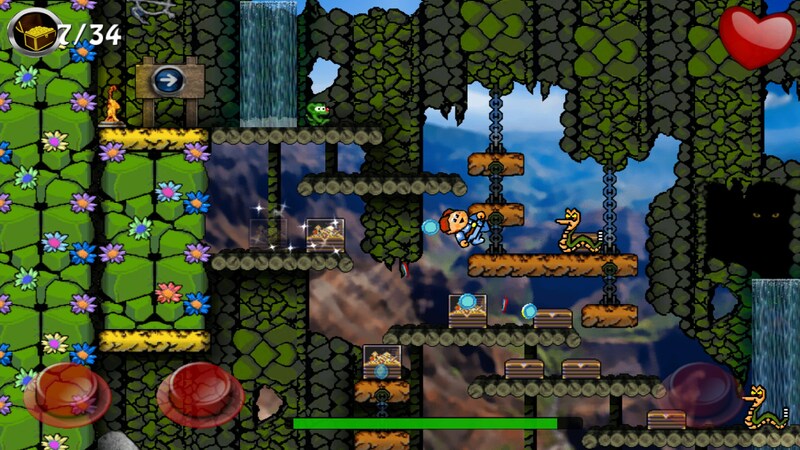 There's platforms with multiple levels to traverse, an array of enemies to pounce and conquer, and copious treasure chests to bound atop and open. The play checks off all the right boxes, but still feels a tad sluggish and unrefined. You have a set amount of time to find the magic portal that transports you to another section of the jungle with its own mysteries and surprises to discover. There's lots here to like, but the game feels like it still hasn't reached its full potential and could be so much better. The controls stick close to their retro roots, offering old school directional buttons on the lower left for lateral movement, and a lone jump button on the lower right. The controls are effective but still take some getting used to. 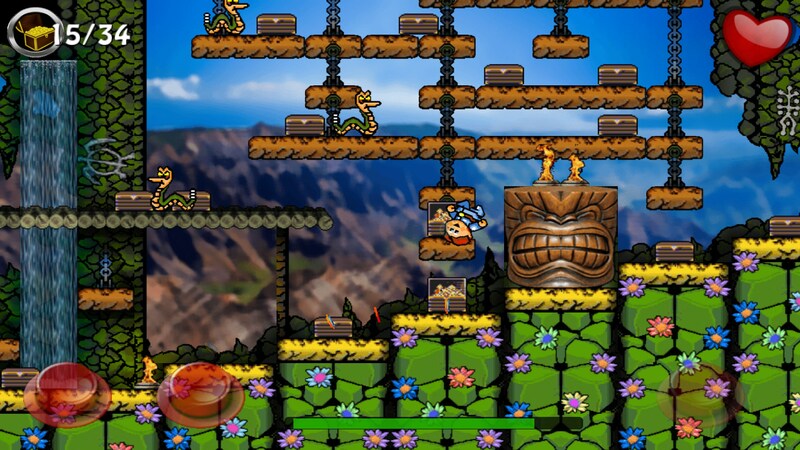 The graphics offer a vibrant color palate and detailed visuals with interesting enemies and locales. 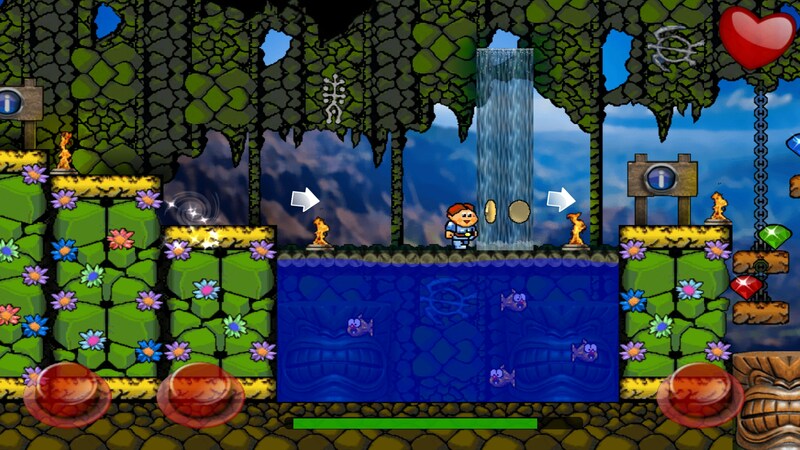 The animation is almost there, but still feels just a tad unrefined, though the physics are quite good. The sounds are probably the weakest element here, inducing a few cringes, however, at least the music is sparse and doesn't prey on the nerves. 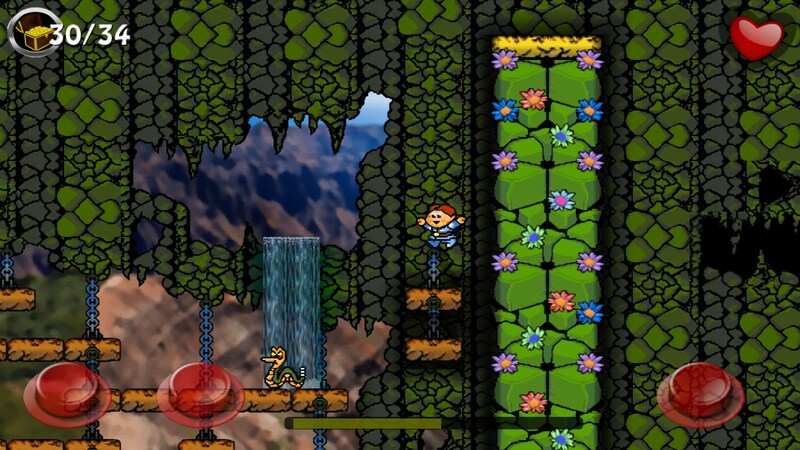 Canyon Capers has a lot going for it, and yes, I'm being hard on it, but only because it could truly be great. Just a few nitpicky tweaks and this one could really stand apart as a quality retro experience.